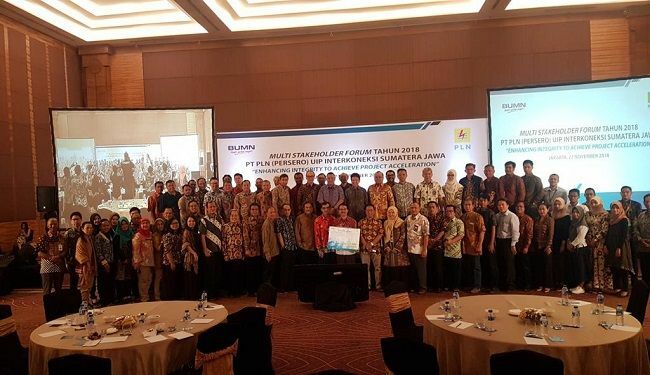 On 27 November 2018 Lemtek UI was invited by PT PLN Unit Induk Pembangunan Interkoneksi Sumatera Jawa (UIPISJ) in Multi Stakeholder Forum (MSF) at Hotel Pullman Central Park Jakarta. 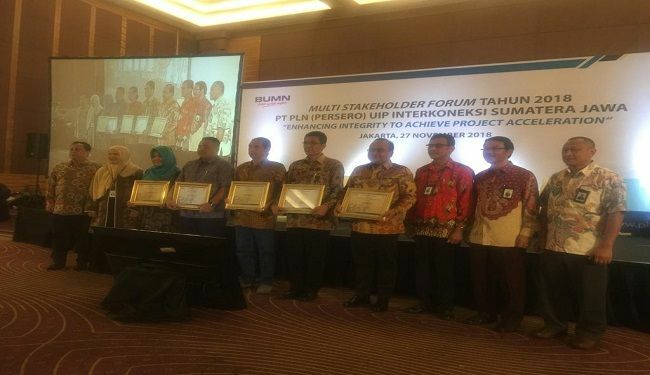 The MSF entitled was The Enhancing Integrity to Achieve Project Acceleration. Lemtek UI was represented by Dr Wisnu Isvara as General Manager and Ir Ahmad Ahdiana as Environmental & WRM Manager. 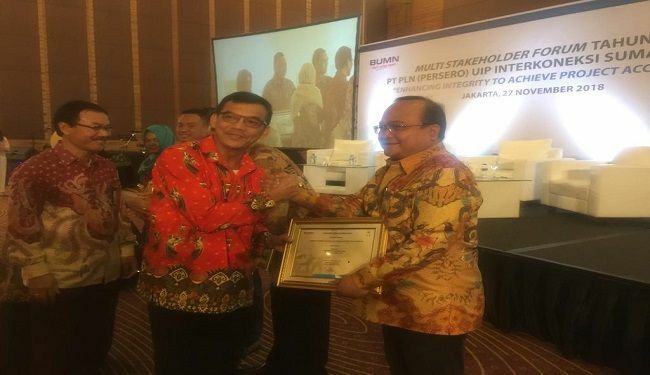 The event was opened by Mr Mayarudin as General Manager PT PLN UIPISJ and followed by a talk show that discussed about The Acceleration of The Process and Permit for Land Acquisition, Integration of Spatial Planning, and Gratification Control. At the end of the event the integrity pact was signed by all vendors and the awarding of the best vendors in the PT PLN UIPISJ was declared. 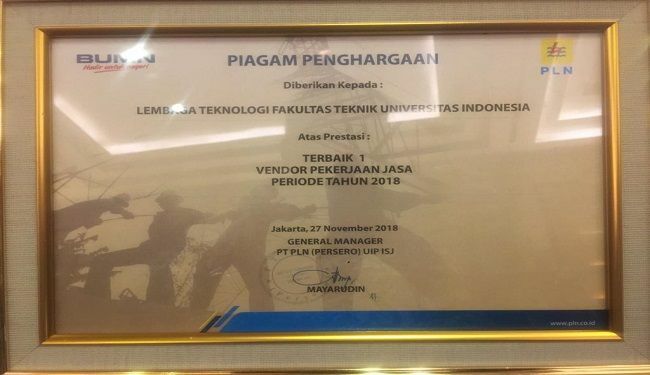 Lemtek UI was announced by PT PLN UIPISJ as The Best Vendor in Consulting Services in 2018. Since 2016 until now, Lemtek UI was involved in Environmental Management and Monitoring Projects in PT PLN UIPISJ.